Archangel Ariel is well known as the “Lioness of God”, as this is the direct translation of the name Ariel, or Arael in Herbew. But there's more to Ariel, who is a powerful Archangel, and a magnificent spiritual being. Archangels each have specific Divine Missions and duties to carry out the Divine Will and acting as messengers of Divine Love for humanity. Archangel Ariel is the Archangel overseeing nature and the natural world and she acts as a liason between humanity and the elementals, fairies, gnomes, elves, sprites, animals, crystals, minerals, air, and the Divine magic of the earth. 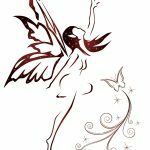 If you have a desire to connect with the fairies, elementals, or nature magic of any sort, Ariel is the perfect Archangel to call upon to help you safely and effectively tune in (fairies can be a bit mischevious, and certain nature realms contain density). While Archangels are technically genderless, they often appear in the form of one gender or another, and to me, Ariel has always appeared in a feminine form. I see her energy as golden light with streaks of white, and pink, but she is a spiritual being, which means she will appear in whatever form will most serve. Many have seen her appear as the lioness, or as a magnificent angel standing upon the Earth (symbolizing her role overseeing nature and the natural world). As Ariel is closely tied to nature, her service involves healing nature, plants and animals, and she is almost always present where conservation efforts, or projects to help cleanse and heal the earth are taking place. Ariel also works closely with Archangel Raphael who is well known to be the Archangel overseeing healing, and she will assist in efforts to bring healing to humans, as well as wild and domesticated animals (which is her main duty and focus). Birds and lions seem to be especially tied to Ariel, possibly because she manifests as these both physically and spiritually to get our attention, and to let us know she is near. If you want to feel the presence of Archangel Ariel, go outside and commune with the natural world which is where she resides. 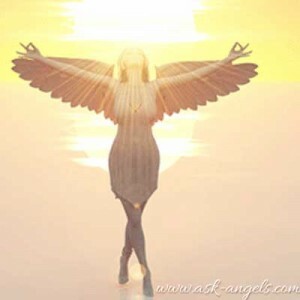 Archangel Ariel is an Archangel of healing, and it is through nature that her restorative, inspiring and rejuvenating healing power effortlessly flows. Sensing the presence of Ariel seems to be easier near bodies of water, which further magnify her healing energy and presence. Clear your mind and open your heart to sense, feel, and understand her presence within the natural world. In addition, connecting to Ariel out in nature will help to refresh you completely, giving you a new excitement and postive perspective to manifest change and blessings in your life. This is no mistake, Ariel is also a powerful Archangel of Manifestation, Prosperity, and Abundance. This all makes sense when you notice the complete abundance present within the natural world which Ariel is aligned. While Ariel can yes, help you to draw in more money… She is more focused on helping you to transcend the illusions of the 3D Realm to align fully with your inner Divine light, truth, and authentic being. Ariel will lovingly, gently, and with persistence guide you to remember the truth of your Divine nature, and oneness with Divine Source when you invite her guidance and assistance into your life. Ariel will also help to remind you that you have creative control over your life experience, and that through your thoughts, words, feelings, beliefs, intentions and emotions you are creating your life. She is highly evolved, and so like all Archangels she will rarely interfere or assist in your life unless you ask. Ariel honors your free will and will leave you to learn your lessons *even the hard way, unless you ask for assistance otherwise. When you do ask, Archangel Ariel is ready and willing to help in practical, mundane, magical, and miraculous ways. She will help to supercharge your intentions and to align your personal vibration with what you consiously desire to manifest in your life. Part of this is intention setting, and part of this is the (lioness) courage, strength, and confidence to stand in your power and roar. Sometimes the best possible thing is to get out of your comfort zone, Ariel will help you find the courage to ‘go for it' and to take a leap of faith to manifest your dreams and goals, and to realize the Universe (and the natural world) is conspiring with you in a magical way. Ariel naturally and constantly radiates Divine love, and presence with Source. Connecting with her is comforting as she offers protection, healing, magic, and Divine love. Archangel Ariel is quite active now, giving us the courage and strength required to stand in our power, reclaim our full connection with the Divine, and experience a truly joyful, loving, magical life. Know that you can call upon Archangel Ariel anytime and anywhere you like… But you're much more likely to feel, see, hear, and know her presence if you are outside, near water, and surrounded by the beauty of the natural world. Do you have any experiences with Archangel Ariel? Leave a comment below! I first meant her when I was around five years old give or take. I lived with my Grandmother then. We traveled a lot. We stopped at a roadside park to stretch and move around from our long ride to our next location. And has I was running my extra energy out a women came around the tree I was standing at. I looked at her and she had a flowing long white gown on and she glowed. I was amazed at her. I ask who she was and she said Mother Nature. We talked. I wish I could remember what we was talking about. Then I went to my Grandma and told her about the women I was talking to. We looked from where she was and she was gone. I will always remember her and how the talked we had made me feel happy afterwards. I AM ARIEL, the Lion and the Altar of GOD. There is nothing cute or sweet about me. I am GOD’s ultimate weapon AND sacrifice. My color is light blue, just like Archangel Michael. We are a one two punch; if he misses, I will connect. Any questions? I have always felt a massive connection to lions- most of my life. Recently while closing my eyes I could see her appear as a lion roaring and I actually felt the need to make the facial features of a Roar. Now, through meditation and chakra healing, I see her light, feel her through my dogs, animals and nature. She has supported me through so much and I am truly thankful. She first came to me as a lion standing on my bed, I was laying in bed and didn’t know about her. So it makes sense now. Thanks for the beautiful information, so I can know how to work with her. Archangel Ariel,please help me.Archangel Ariel,please grant my newspaper is registered by RNI and the Registration Number is issued to me. Archangel Ariel,please grant my newspaper is approved by the Government and it gets plenty of advertisements and has a large number of paid subscribers.Thank you. So be it. Yes I have a really, really good feeling about this have you ever heard of a woman who goes by the name Dorene Virtue? I think that’s how her name is spelled however, I know there is no comparison as both of you are very important to me and the many other people who’s lives you touched. Thank you so much. I think angels can appear as male or female depending on what the situation is. They are always ready to help in any way they can. Sometimes they stay hidden but you know they’re there by the peacefulness around that says everything’s going to be alright. i just ask for a specialAngel! to be with me through my hip surgery on June 11th and recovery blessing! thank you!